I’m so glad that you liked the recipe. White peaches and amaretti cookies! sounds like perfection in a slice to me! I’ve been dying to get my hands on Dorie’s book, but Amazon won’t deliver that particular book (along with several others) to Malaysia. It’s not fair! 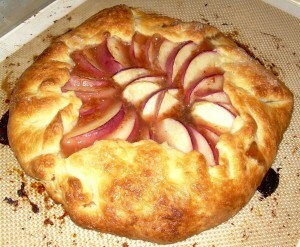 Especially since your galette looks so good. Glad you liked the amaretti cookies :-), white peaches sound delicious! I love the white peaches! Your galette looks wonderful. Your galette looks wonderfully delicious! White peaches and amaretti, what a fabulous combination! Thanks for the eye candy this morning. I like the looks of this with the sliced peaches. Makes it look rustically elegant. And adding amaretti cookies rather than graham crackers. What a great idea. UUMMM!!!! My that looks good! So perfect! Lowfat cream cheese for the shortening! I love that idea! Anything to make this somewhat not as bad for you! 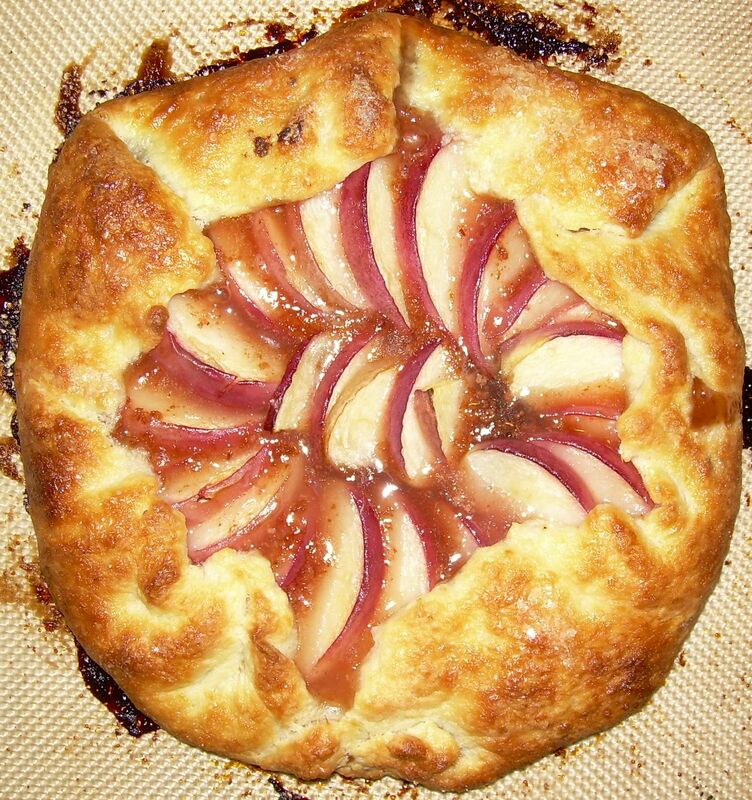 Your galette looks just as you described it! Luscious! Congrats on finding a new favorite! It looks delicious! I really should get this book. Using amaretti cookies sound like a great idea. Gorgeous! I love the white peaches. Is your cream cheese substitution for all of the shortening and butter or just shortening? wow! this looks delicious. i love the cream cheese sub in the crust – great idea. It looks delicious! Great job! So pretty! May I have a slice? Please. I love the cream cheese as a substitution. I just left the shortening out completely. The crust doesn’t need any more butter. We loved it, too. Yours is beautiful. The cream cheese subbed for shortening is a smart idea. I will have to give that a try in the future. The galette is simply beautiful. This looks gorgeous! I love white peaches. Thanks for the tip on subbing low-fat cream cheese for the shortening. I just subbed w/ butter and that worked well too. I thought the blueberry pie was my favorite, but the galette is running a close second. Yours looks beautiful and the white peach looks great fanned out. Yay! It was my favorite too! Isn’t baking grand? Oh, this galette looks so succulent! And the crust is perfectly caramelized! Just wonderful! It looks so yummy! I have yet to try to bake myself this yummy treat! Oh, lovely! Your flavor combinations sounds so delicious. Wow, that is so gorgeous! I love the white peach and the photos are stunning. Awesome job!